The hotel at the height of your dreams is here. The uniqueness of its location makes Myriad by SANA Hotels a majestic hotel: overlooking the Tagus River in the eastern part of Lisbon, the building, over 140 meters high, is a glimpse of the future. 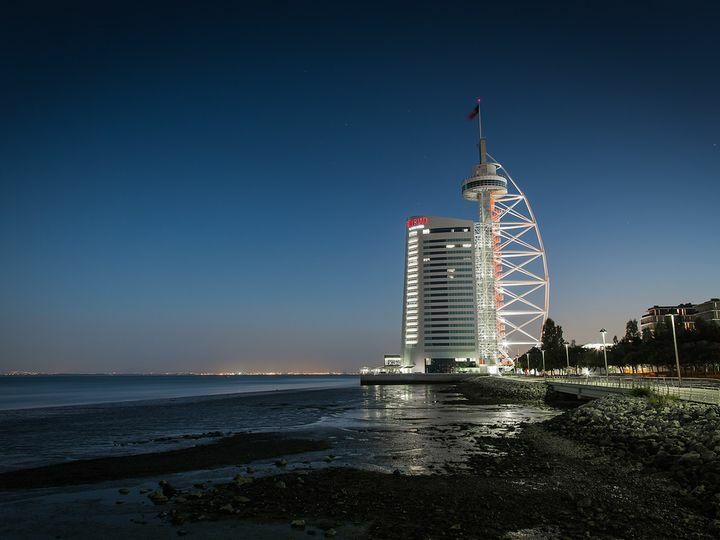 Located by an important business centre and close to the main access routes to Lisbon, the hotel appears as a futuristic oasis with several recreational areas always complemented by the view of the Tagus. The 186 bedrooms and suites feature a contemporary decoration, strong and contrasting shades and a magnificent view of the Tagus estuary. dormakaba has contributed to this exceptional project of The Hotel 'Myriad by Sana', that has been awarded by IHA - International Hotel Awards the 2013 prizes for 'Best New Hotel Design & Construction in Europe' as well as 'Best Hotel Architecture in Portugal'. The AGILE 150 for manual sliding door is the prefect system for a project of this nature because of its functionality and attractive design. Additionally, the dormakaba TS 92 door closers were installed in some aluminum framed doors and the ITS 96 coaled systems were the chosen solution to equip the doors of all rooms.